Star Wars fans across the galaxy, get ready for a special Disney party you won’t want to miss. Following a sold-out event last April, Star Wars: Galactic Nights is returning December 16 to Disney’s Hollywood Studios. This gala evening will be filled with out-of-this-world entertainment celebrating the entire Star Wars saga. Among many thrills in store, guests will be treated Hollywood-style to a red carpet arrival, iconic attractions with little to no wait time, amazing fireworks and projections, and experts sharing details about the Star Wars expansion coming to Disney’s Hollywood Studios. The Star Wars: A Galactic Spectacular fireworks and Star Wars: A Galaxy Far, Far Away stage show will both be enhanced with special elements from the entire saga. In between, a DJ will keep things spinning at Center Stage for a Star Wars dance party. 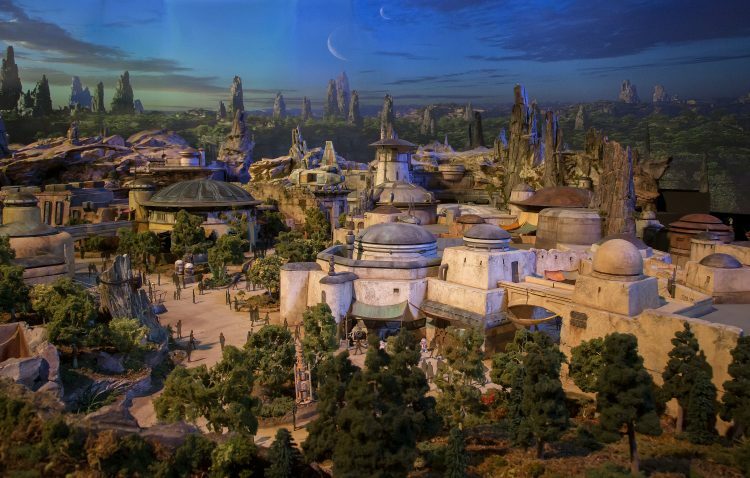 The Epic Theater plays host to a special one-night-only panel discussion about Star Wars: Galaxy’s Edge, sharing some of the excitement coming to the 14-acre Star Wars-inspired expansion opening in 2019 at Disneyland Park and Disney’s Hollywood Studios. 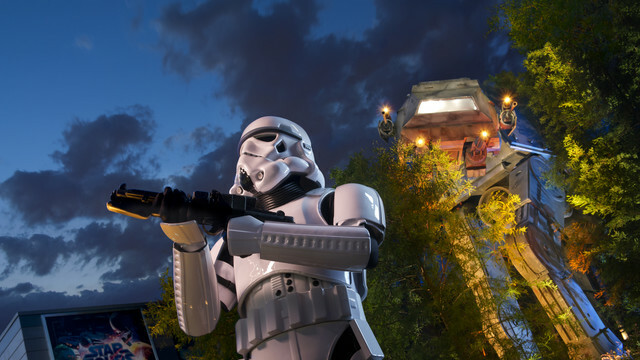 Park-wide, guests can step into immersive and iconic scenes from their favorite Star Wars films in a series of incredibly detailed photo locations, including a new backdrop inspired by Star Wars Rebels. Star Wars: Galactic Nights features encounters with Star Wars characters like Ewoks, AWR Troopers and roaming droids; Jedi Knights teaching younglings in Jedi Training: Trials of the Temple; rocketing to the stars aboard Star Tours – The Adventures Continue; and stunning projection effects on park icons such as the Chinese Theatre. At Star Wars Launch Bay, home base for Star Wars fandom in the park, you never know what denizens from the light or dark side of The Force will appear. Don’t miss Darth Vader and a battalion of Imperial Stormtroopers march menacingly down Hollywood Boulevard. Even more specialty Star Wars-themed food and beverage and merchandise will be available. Select park attractions will be open to all guests. 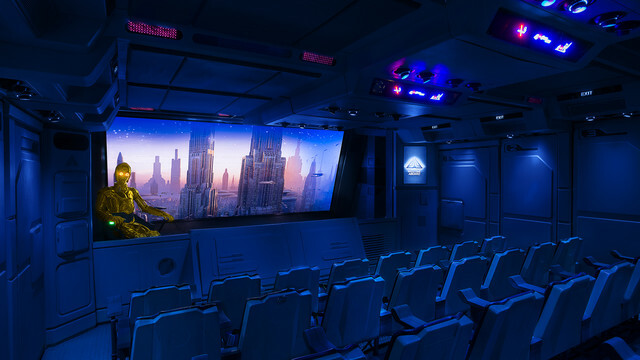 At embarkation points to Star Tours – The Adventures Continue, guests may come face-to-face with Stormtroopers on the lookout for a Rebel spy. Come dressed in your finest Star Wars Arriving park guests will walk a red carpet that runs the length of Hollywood Boulevard. The street itself will be dressed in all the trappings of a Tinseltown premiere. Callers to 407-WDW-PLAY will be able to sign on for premium offerings such as a Galactic Tasting Sampler (food and beverage items including lightsaber churros and a charcuterie with C3PO crackers). 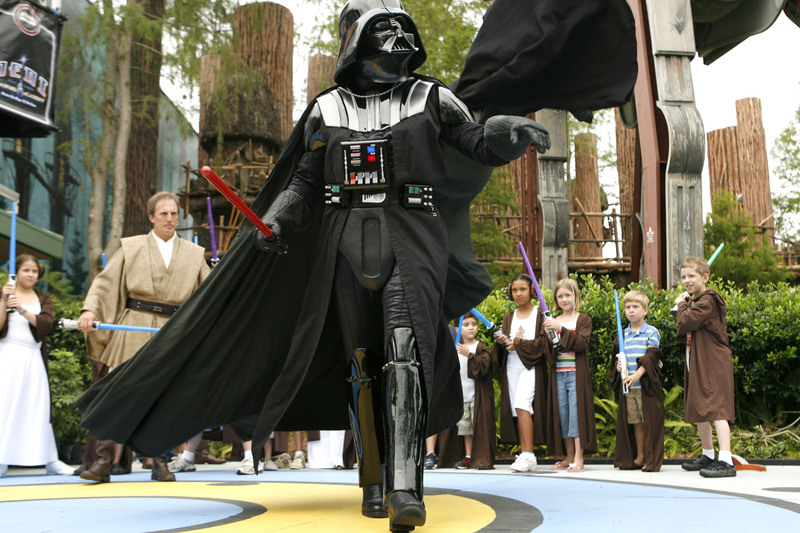 Park access and activities will be exclusive to Star Wars: Galactic Nights ticket holders. Event hours on December 16 are 7pm to midnight. Tickets are priced at $129 adults, $124 ages 3-9 (discounts available for Annual Passholders & DVC Members). To purchase tickets click here or call 407-W-DISNEY. April’s event sold out; guests are encouraged to book early for December 16 — a date not far, far away.